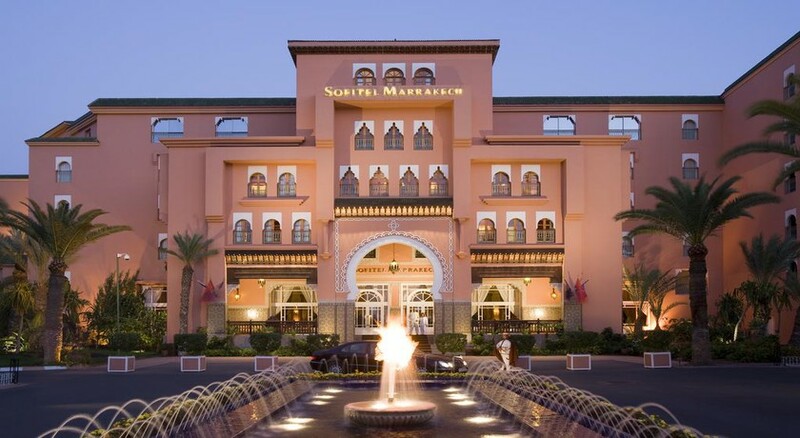 Sofitel Marrakech Lounge and Spa is an all-inclusive family friendly hotel in the city’s stylish Hivernage district, just 2km from the famous Jamaâ El Fna Square. Nestled amidst a lush garden of palm trees, bougainvilleas, in a backdrop of snow-capped Atlas Mountains, this is an oasis of luxury. Featuring a delightful spa, three swimming pools and three restaurants and bars, the hotel invites guests to have a relaxing stay amidst unmatched luxury and a slew of modern amenities. The hotel’s warm and hospitable staff promise a memorable stay in well-appointed guestrooms equipped with balconies providing gorgeous views and equipped with air-conditioning, satellite TV, Bose radio, minibar and safe. 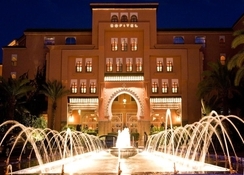 The hotel is located in the city’s stylish Hivernage district, just 2km from the famous Jamaâ El Fna Square. Nestled amidst a lush garden of palm trees, bougainvilleas, in a backdrop of snow-capped Atlas Mountains, this is close to most city attractions. While the Cyber Park Moulay Abdessalam and Menara Mall are just 1km away, the Menara Airport is easily reachable at just 3.6km. 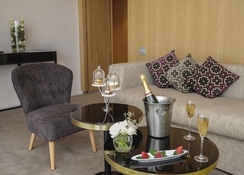 The hotel offers 139 elegant and immaculate rooms and suites done up with a colour palette of gold, white and beige tones and attached balconies providing breath-taking views of the indoor pool and garden. The rooms come in types Superior & Luxury with king size beds, and Junior suites with pool and/or mountain views. Suites have an added lounge area. 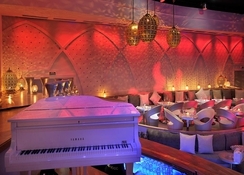 The hotel has a clutch of restaurants and bars to indulge guests’ palate. Gourmet, olive oil-inspired and healthy dishes are prepared by expert chefs and served in luxurious ambience. The L’Orangerie with a lovely terrace is a gourmet restaurant while Le Jardin and So Good are international restaurants. 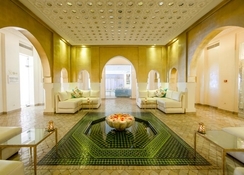 There’s also a pool lounge serving delicious Mediterranean cuisine. There are a number of bars, including one at pool, to relax with a cocktail. 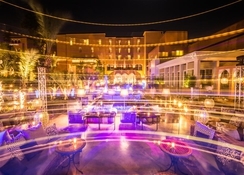 The Palais darkum, Lawrence bar, Ultimate pool lounge and So lounge make up the bars and discotheque of the hotel. The hotel has two swimming pools (one indoor), and kids’ pool and terrace. There is a fully equipped gym for those who wish to stay active. There is a lovely spa with steam room offering massages and therapies and beauty services are available at additional charge. Tiny tots can have fun at kid’s playground. The hotel has a library and guests can read the newspaper or browse with free Wi-Fi. There is lively evening entertainment and a nightclub too. Some facilities may incur a local charge. Loved everything about this hotel! The staff were very helpful and kind. Very clean hotel and the breakfast was awesome!